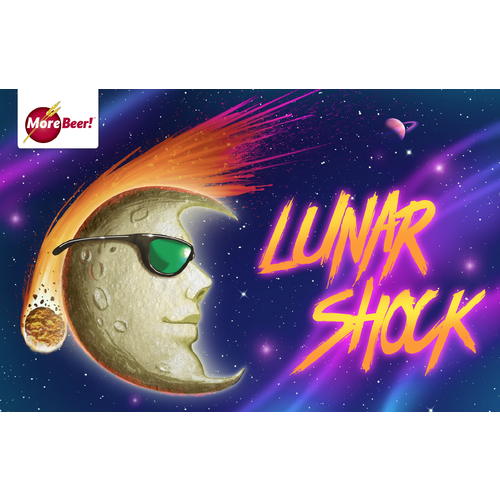 There's a stunning celestial body on the rise, and it's dead set on blasting your taste buds with an onslaught of refreshing flavor. Drawing inspiration from two prominent wheat ales - Blue Moon and Shock Top - this clone recipe is sure to transport you to a cosmos of crisp citrusy goodness and subtle coriander spice. 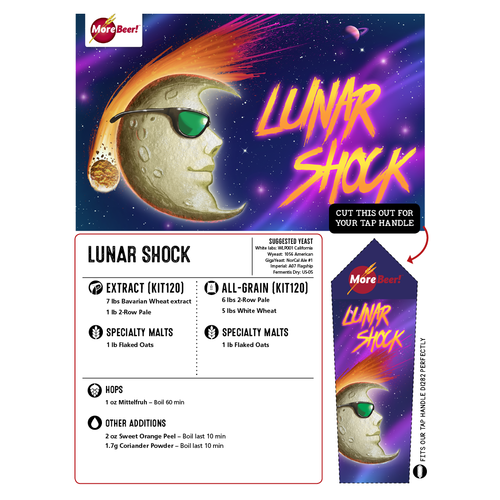 Always light and refreshing, Lunar Shock aims to orbit your brew schedule year-round. An American take on the Belgian Witbier style. The wheat and oats provide a smooth and creamy mouthfeel, while sweet orange peel and coriander contribute outstanding citrus flavor and aroma. If itâ€™s anything like blue moon it should be good! Clone kit of a preferred commercial brand. My wife likes Blue Moon and I have never done a Hef before. We'll see how it goes. As a long time Blue Moon fan, I had to try this kit. 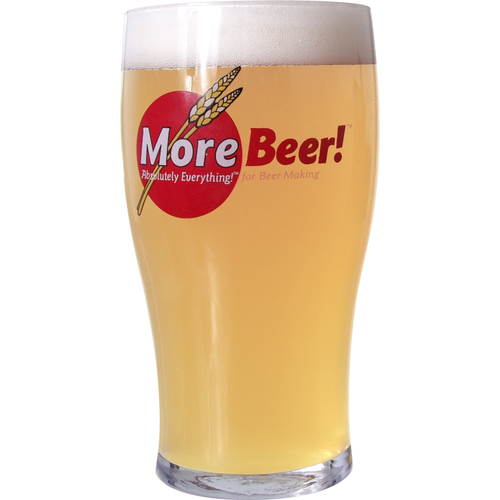 I have brewed several wheat beers over the years, Belgian White's, Hefe's, ect. This is the best wheat I have ever brewed, smooth creamy and delicious. I added a little rolled oats for body and it came out great. The California Ale V yeast yielded just the right sweetness. To the reviewer that had the sour tasting batch, I can only say, better check your brewing techniques, this is one great kit. For those who like BlueMoon this is the closest kit to enable brewing of beer very similar to that commercial brew which seems very popular. More shock top then blue moon. It has a sour taste to it that I couldn't get past. I really thought this would be a good kit. Neither my wife or I enjoyed it. Ended up dumping it out. Great price for what you get!!! This is a good kit. I had 2 oz’s of Simcoe left over from another beer so I used it in this one. I used 1 oz at 10 mins and the other to dry hop. The beer came out well but the hops kind of overpower the orange peel and coriander flavor. I’ll probably get it again and not add anything to see the difference. Great kit though.